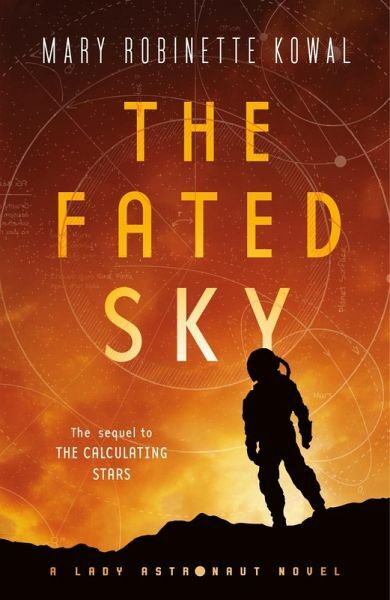 Mary Robinette Kowal continues the grand sweep of alternate history begun in The Calculating Stars , The Fated Sky looks forward to 1961, when mankind is well-established on the moon and looking forward to its next step: journeying to, and eventually colonizing, Mars. Of course the noted Lady Astronaut Elma York would like to go, but there's a lot riding on whoever the International Aerospace Coalition decides to send on this historic-but potentially very dangerous-mission? Could Elma really leave behind her husband and the chance to start a family to spend several years traveling to Mars? And with the Civil Rights movement taking hold all over Earth, will the astronaut pool ever be allowed to catch up, and will these brave men and women of all races be treated equitably when they get there? This gripping look at the real conflicts behind a fantastical space race will put a new spin on our visions of what might have been.